Rainforest Brown Marble is an exotic stone consisting of shades of brown and gray with unique deep reddish brown and white veining that evoke images of tree branches. It’s earthy and elemental colors and textures bring nature into your home. It is available in polished and leather finishes. This marble is abundantly used in bathrooms, entryways, fireplaces, gardens, and living and dining areas. Whether it is about kitchen countertops, vanity countertops, showers or even interior and exterior Rainforest Brown Marble is sure to bring the desired charm to home as well as office decor. 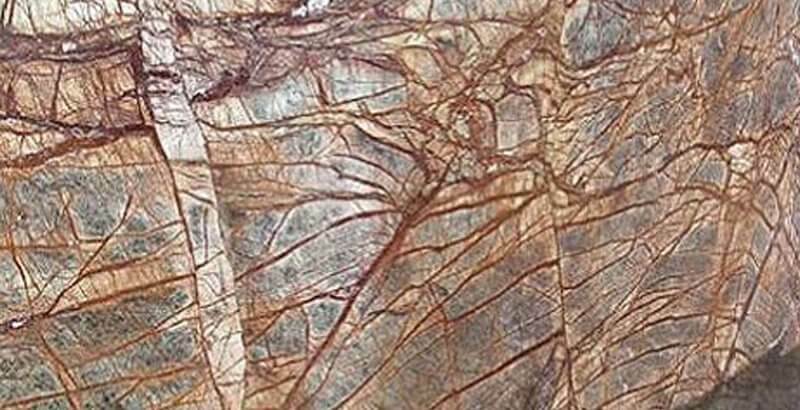 Kushalbagh Marbles Private Limited, located at Banswara, is the biggest supplier and exporter of Rainforest Brown Marble. We are supplying Rainforest Brown Marble to all over India and have also exported it to more than 20 countries around the world. Apart from that, we can make custom made orders for counter tops, thresholds, steps, and risers, etc. of Rainforest Brown Marble. To fill out the enquiry form, please click here to get the best quotation for Rainforest Brown Marble.